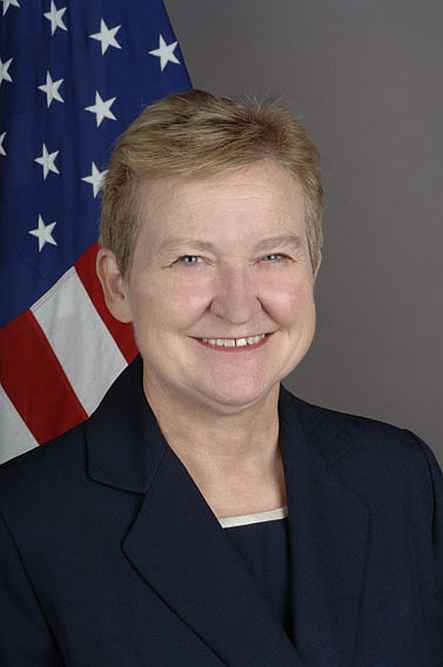 File Photo - US Ambassador to India Nancy J. Powell has resigned from her post. 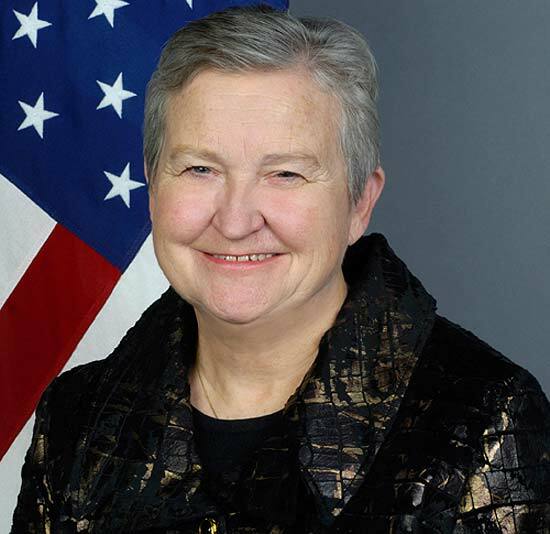 US Ambassador to India Nancy Jo Powell resigned from her post, days after media speculation that she may be shipped out. 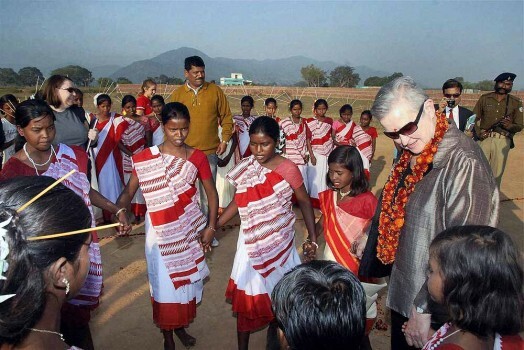 US Ambassador Nancy J Powell with tribals of Ormajhi in Ranchi. 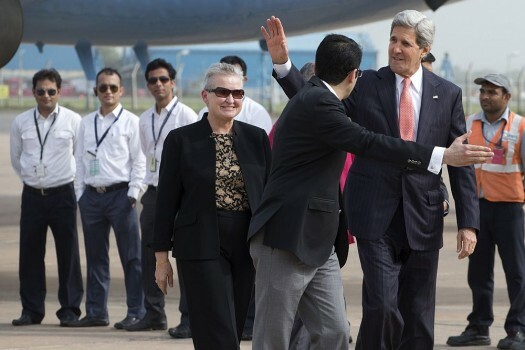 U.S. Secretary of State John Kerry with U.S. 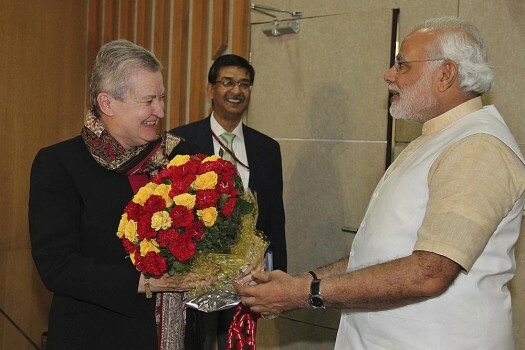 Ambassador to India Nancy Powell upon his arrival in New Delhi. Bihar Chief Minister Nitish Kumar presents a memento to Nancy Powell, U S Ambassador to India in Patna. Assam Chief Minister Tarun Gogoi felicitates US Ambassador to India, Nancy J. Powell with traditional Japi at his official residence in Guwahati. 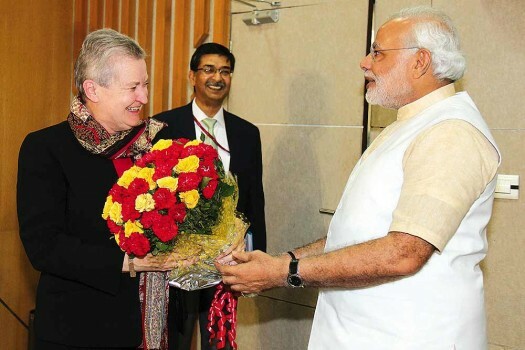 The US may soon find out that making a scapegoat of Nancy Powell only solves half its problem relating to India. 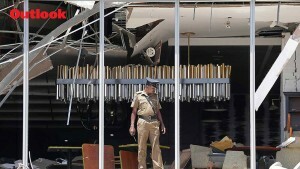 The other half may well prove to be much tougher to resolve in the coming days. 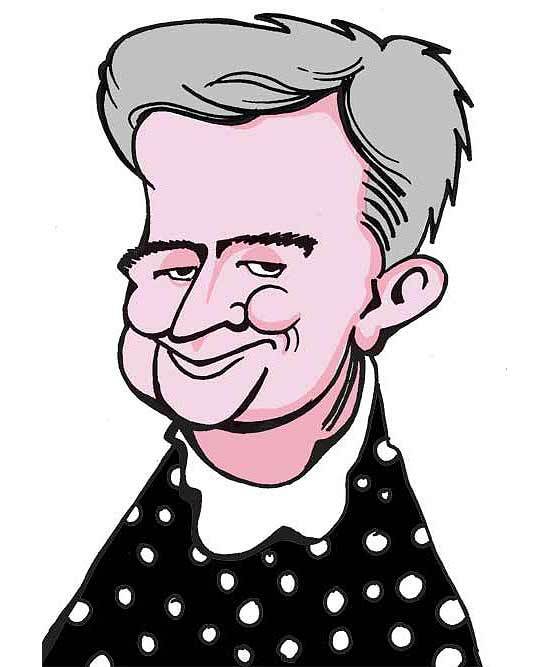 So, who does the last laugh belong to? The US yields to the prime ministerial candidate.